The status of the Central African Armed Forces’ (Forces Armees Centrafricaines’) is uncertain following the overthrow of President Francois Bozize on March 24, 2013. Prior to his overthrow, the military was small and poorly equipped and inadequate to deal with the country’s numerous military threats, such as that from the current rebel offensive and the rebel Lord’s Resistance Army (LRA). 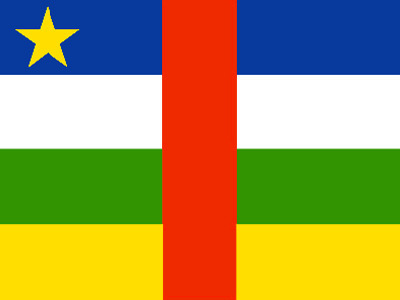 In late 2012 Seleka insurgents (comprising a coalition of five rebel groups) nearly captured the CAR’s capital Bangui and came close to overthrowing Bozize, but signed a peace agreement in January 2013. However, intermittent fighting continued for months afterwards, leading to the taking of the capital at the end of March and the installation of the Seleka rebel leader as president on April 13. The CAR’s Army was small and poorly equipped and trained to deal with security threats and relied on foreign countries, such as France, donating a substantial amount of the equipment. Much of its existing equipment was in a questionable state of repair and was probably unserviceable. The air arm had almost no combat aircraft and only a small airworthy fleet, which had declined over the last decades due to obsolescence and unserviceability. The air force’s largest transport aircraft, its C-130, was configured for VIP transport so its tactical use was questionable. The only combat aircraft in the CAR’s inventory was a single Mi-24V acquired in 2011. As the CAR is a landlocked country, it does not have a navy but has an amphibious force. Approximately nine riverine vessels were used to patrol the CAR’s 2 800 km of navigable waterways. About 100 personnel operated these vessels. External	 •	The LRA has been actively using the country as a base of operations and has on several occasions attacked CAR’s civilian population in the south of the country. •	Chadian rebels operating out of Darfur have previously used CAR’s north-eastern territory as a springboard from which to launch rear attacks on Chad. During a late 2012 rebellion in the CAR, the country’s president claimed that CAR rebel forces are actively supported by these groups. Internal • There is ongoing instability and insecurity following the takeover by Seleka rebels in March 2013. Regional •	Instability and possible state collapse within the CAR is considered in itself a security threat to the region, especially to the northern DRC and Chad. Possible far-reaching effects for central and southern Africa are also possible. Political •	CAR is currently considered to be politically unstable. Economic •	55 percent of the country’s GDP arises from subsistence farming. The country remains poor in spite of mineral resources, such as gold and uranium.